Kozhevnikova Galina Ilinichna– she graduated from the Chita State Medical Institute in 1994. The doctor is a dentist-therapist, periodontist. She has been working almost since the foundation of the clinic. Also, she has her own regular clientele. Galina Ilinichna is always friendly and benevolent. Patients are very fond of her for her gentle nature, mindfulness and accuracy. To hurt someone for her is the same as hurting herself. Perfectly diagnoses all major diseases of the oral mucosa, correctly appoints treatment, conducts the entire complex of conservative periodontal treatment – this is the general diagnosis with the help of the computer program “Florida proub”, gum treatment with the apparatus “Vektor”, “Piezon”, “Fotosan”. Complex medicamentous treatment and prophylactic medical examination, oncoscreening. Also engaged in teeth whitening in the clinic and at home. Be confident, under the patronage of Galina Ilinichna, your teeth will “sleep” quietly. In her spare time she likes to visit nature, devotes a lot of time to education, attends numerous seminars, conferences and courses on dentistry, likes to read and travel. Pak Tatyana Andreevna – Graduated from the Khabarovsk State Medical Institute. Doctor dentist-therapist, endodontist. 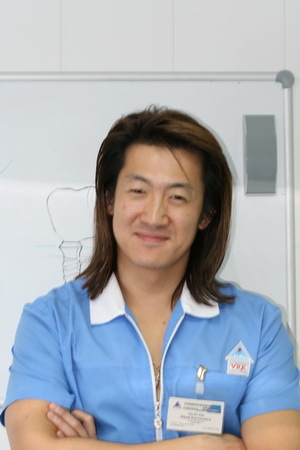 Head of the therapeutic department of dentistry “Radix”, also has orthopedic skills. Attentive and scrupulous doctor, for her there are no impassable channels of teeth. All the manipulations in the canals are carried out by the doctor under the dental microscope. Can perform three-dimensional obturation of channels using the most modern tools and equipment such as SAF – Self-adapting files, XP-endo -3D channel processing, vertical obturation – BeeFill and Gutta Easy, ultrasonic channel processing with Piezon Master – the newest bioceramic siller. She perfectly knows the CAD / CAM technology Kerek, will make a single all-ceramic tab instead of a seal, a veneer or a crown, if necessary, without leaving the chair with an optical scanner and 3D printer Kerek! She comes to work seriously and with all severity. Constantly develops both professionally and creatively. Two assistants help the doctor, which significantly improves the quality of work. 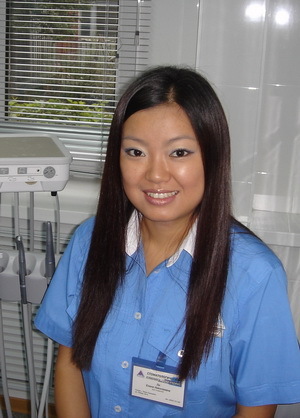 Tatyana Andreevna is a regular participant of various scientific congresses and training courses in dentistry. Many patients want to get to her. In his spare time he is fond of sports ballroom dancing, yoga and fitness, he is engaged in room design, learns English and communicates freely with him, loves his family, as well as his numerous pets (3 dogs)). She loves to read books and travel the world. Kim Konstantin Sergeevich – Doctor dentist, surgeon-implantologist, orthopedist. Graduated from the Far Eastern State Medical University. 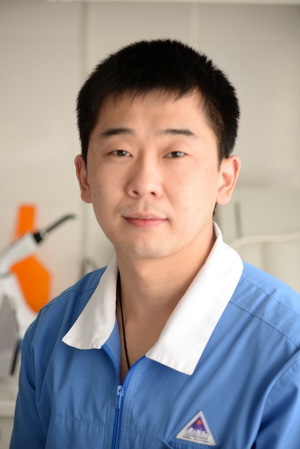 A very attentive doctor, you will like his gentle hands and scrupulous attitude to his work. A sociable doctor, understandably and easily, will explain to you the subtleties of dental science and will understand the circumstances of your problem, make a comprehensive rehabilitation plan, take into account all your wishes and aspirations. 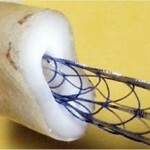 Works on various implant systems such as Nobel Biocare (Sweden), Straumann (Switzerland), Konmet (RF). He successfully performs osteoplastic operations, engages in gingival plastics, and easily eliminates dentogingival recessions. Konstantin Sergeevich introduced the navigation implantation in the clinic using the Nobel Biocare templates, which maximizes the accuracy of the operation. 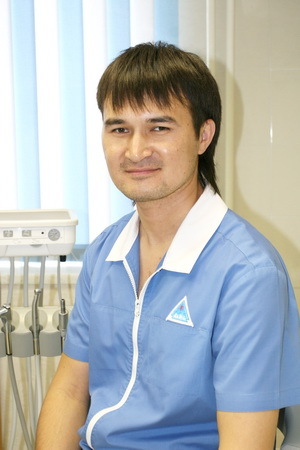 In addition to surgery, Kim Konstantin Sergeevich is also an orthopedist, he has a residency in orthopedic dentistry successfully prosthetics on CAD / CAM (computer production of teeth) with various metal-free designs. I went through practice and training under the patronage of Ten Yuri Anatolyevich. He personally received training from such masters of dentistry as Paskal Magnie (France Paris) – “Aesthetic prosthesis with adhesive constructions”, Fernandes Rohas (Spaine) “Planning of surgery, protocols for temporary prosthetic implantation”, Konstantin Ronkin (Boston Institute of aesthetic dentistry, USA, Russia) – “An occlusive course in Neuromuscular Dentistry”, Aram Davidyan and Igor Myaskivker (Russia, Moscow) – “Modern concepts as a factor of successful implant treatment”, Nikolay Brusov “Digital Photography in Aesthetic Dentistry”, Evgeny Goncharov (USA, Los Angeles ) “Kois -Centr – Interdisciplinary Planning”. The doctor works in a team of two permanent assistants, which significantly improves the quality and safety of the work. In his free time he reads a lot of scientific literature and improves himself. He is fond of motor sport and snowboarding. Likes to travel the world. Kim Vladimir Anatolyevich– He graduated from the Khabarovsk State Medical Institute. The doctor is a dentist-orthodontist. Orthodontics is the vocation of Vladimir Anatolyevich. Being a modern doctor who thinks in a new concept, he constantly raises his professional level in this specialty. Owns all the technologies and the most advanced bite correction systems, whether it’s sapphire braces or Damon self-ligating systems, lingual technology or simple trainers. 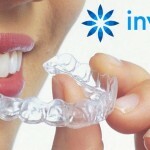 Uses effective alternative innovative technologies in their practice, such as Invisiline. 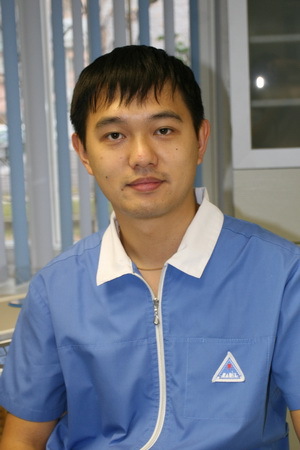 Vladimir Anatolyevich is the only expert on Invisiline on Sakhalin, solves practically any clinical situations only with the help of transparent invisible cap. Also, Vladimir Anatolyevich studied at the Boston Institute of Dentistry and is an adherent of the neuromuscular occlusion concept. Vladimir Anatolyevich is a widely-minded orthodontist, together with surgeons of our clinic and periodontists, draws seemingly hopeless situations, from the repositioning of retinas to the elimination of periodontal problems using orthodontic techniques. He is a regular participant of international orthodontic conferences and symposia. Vladimir Anatolyevich distinguishes scrupulousness in work, a delicate calculation and an accurate forecast of the result. Preaches an integrated approach in his work together with other specialists. A lot of his patients recommend Vladimir Anatolyevich to their friends. Li Elena Nikolaevna–Graduated from the Khabarovsk State Medical Institute in 2003. The doctor is a dentist therapist. She has creative thinking, she can draw! She knows the anatomy of her teeth well, which successfully helps her with restorations of the frontal and lateral teeth. Elena Nikolaevna will painstakingly process you fissures, form bumps and outline anatomical dimples so that you do not distinguish her seal from a real tooth. In my opinion, she does it better than anyone else. Nano materials for her are not an empty word. The seals will clearly fall into color and stand for many years. In addition, Elena Nikolaevna easily works on three-dimensional obturation of the canal channels by the method of vertical condensation BeeFill, uses the newest bioceramic siller, conducts endodontic treatment of channels under the control of a microscope, using the most modern tools and equipment such as SAF (Self-Adaptive Files) and Piezon Master, XP- endo. Also Elena Nikolaevna works on German equipment CEREC and can simulate a porcelain vial or crown for CAD / CAM and all this for a couple of hours of work at the patient’s chair. She always works creatively and from an artistic point of view. In her spare time she pays much attention to her family, likes to draw and read fiction. Ten Yuri Anatolyevich– Graduated from the Khabarovsk State Medical Institute in 1994. Chief physician and leading specialist of the clinic, surgeon-orthopedist. During his more than 20 years of work he mastered all the specialties in dentistry, but the main specialty is Implantology and periodontal surgery. Simply installing an implant for him is boring, Yuri Anatolyevich loves complex work – he owns the technique of one-stage installation of implants with open sinus lifting, operates with all osseous plastic insertions, soft tissue transplantations and the formation of pink aesthetics. Easily eliminates the “loss of the gums” so-called periodontal recessions, atraumatic tunneling techniques. Yuri Anatolyevich Ten personally received training from such well-known masters of dentistry as: Zhusev Andrey Ivanovich (RF Moscow) – “Introduction to the dental implantation of the system” Konmet “, Sasha Jovanovich (USA Los-Angeles) -” bone transplantation operations with bone blockage “, Nikolas Amigony (USA Chiсago) – “Soft-tissue plastic surgery technique of suturing and transplantation”, Konstantin Ronkin (Boston Institute of Stomatology, Moscow, USA) – “Neuromuscular dentistry-occlusive cycle”, Curtis Westersand (Canada Toronto) “Complex diagnosis and treatment of patients with occlusion “Morris Salama (USA New-York) -” Tunneling methods for eliminating dentogingival recessions “, Bernard Tauaty (France Paris) -” An integrated approach in clinical dentistry “, Fernando Rohas (Spaine) -” Planning of surgery, protocols for temporary prosthetics Implantation “, Christian Coachman (Brazil Sao-Paulo) -” Digital Smile Design -DSD “, Dmitry Ruzanov (Latvia Tallinn) -” Perioperetic Protocol “, Nikolay Brusov (RF Blagoveshchensk) -” Digital Photography in Aesthetic Dentistry “, Shakhnoza Usmanova (Moscow, Russia) “Osteopathic approach in the orthopedic stoma Atoll “Nargis Shmidt (USA New-York)” Lumineers “, Zorin Sergey (RF SPB)” Procera – computer technologies in prosthetics “and this is not a complete list of practical courses passed by Yuri Anatolyevich. 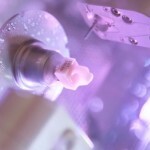 He is engaged in aesthetic prosthetics on CAD / CAM technologies Procera. 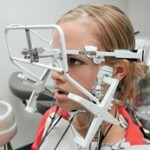 Seriously deals with problems of temporal dysfunction of the temporomandibular joint (TMJ) and violation of occlusion. 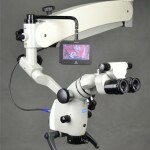 Constantly introduces innovative technologies in his clinic. A constant participant in all kinds of congresses and conferences. In his spare time he likes drawing (he has an academic art education), a frontman in the rock group “Line Up” he created, where he is a guitarist and a vocalist, seriously keen on extreme sports such as kite surfing, windsurfing, surfing, snowboarding, skiing and martial arts . Usova Irina Vladimirovna– She graduated from the Barnaul State Medical Institute. She is a dentist-parodontologist. She is in love with her work. Smiling and pleasant doctor. Patients with pleasure are treated with Irina Vladimirovna, because they will always receive a warm and considerate reception. Perfectly diagnoses all major diseases of the oral mucosa, correctly appoints treatment, conducts the entire complex of conservative periodontal treatment – this is the general diagnosis with the help of the computer program “Florida proub”, gum treatment with the apparatus “Vektor”, “Piezon”, “Fotosan”. Complex medicamentous treatment and prophylactic medical examination, oncoscreening. 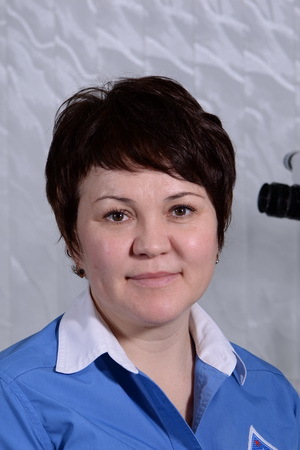 Irina Vladimirovna Usova has passed residency in surgical dentistry, removes dentogingival recess by tunneling techniques, owns techniques of open curettage, uses Emdogaim to improve dentogingival attachment. She successfully applies in her practice a tunnel technique for eliminating gingival recessions. She will accurately determine the specificity of the microflora with the help of bacteriological tests and will prescribe an individual treatment that will not leave a chance for periodontitis. She is a regular participant of international congresses and symposia, actively attending practical courses and seminars. In her free time, Irina Vladimirovna is seriously and actively engaged in diving, many times immersed in various waters of our wonderful planet. Also Irina Vladimirovna is engaged in self-education, reads a lot and loves to travel . 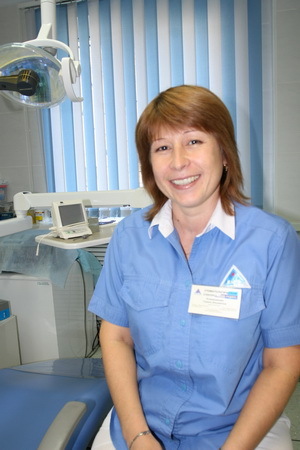 Fedunova Tatiana Aleksandrovna – Doctor dentist-endodontist. Graduated from the Khabarovsk State Medical Institute in 1993. Wonderful doctor-microscopist. She treats the canals better than anyone. If you came to her under a microscope – be sure you are in safe hands and your tooth will be saved. Huge practical knowledge, professional intuition, jewelry work under a 30-fold increase will not leave a chance for defeat. 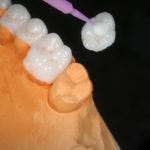 Possesses the technique of three-dimensional obturation of channels with the help of the most modern instruments and equipment, such as SAF – Self Adaptable files, XP-endo -3D channel processing, vertical obturation – BeeFill and Gutta Easy, ultrasound processing of channels by the device – Piezon Master, the newest bioceramic siller. The doctor works in a team of two permanent assistants, which significantly improves the quality and safety of the work. She constantly participates in Russian and international congresses and conferences, attends professional development courses. She enjoys spending free time with her family, likes reading fiction, travels a lot and studies self-education. Shefer Evgeniya – Administrator of the clinic. Very obligatory and attentive to patients. All that the doctor did not tell you during the consultation, Eugenia will tell in a more accessible form, will write you to the reception and will call you back on the eve of your visit. 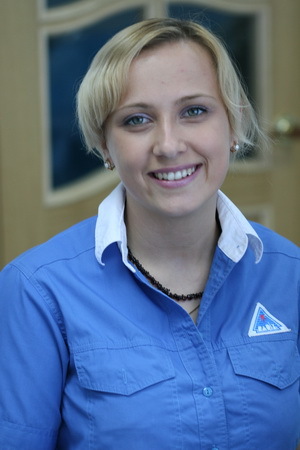 Martynova Oksana –The administrator of the clinic. Friendly and smiling. She will always listen to you in detail and advise you on the solution of the problem. She knows no less about dentistry than doctors, so do not hesitate to ask her questions, she will always recommend the right direction for you in treatment.